In keeping with the Aldo Leopold Nature Center’s interest in the environment, sustainability and healthy living, the reduction of carbon emissions and pollution, and following the Leopold ethic of ‘living lightly on the land,’ we have a policy of encouraging employees and visitors to use alternative and sustainable transportation choices to and from ALNC. Please consider the following alternative transportation options for visiting us! 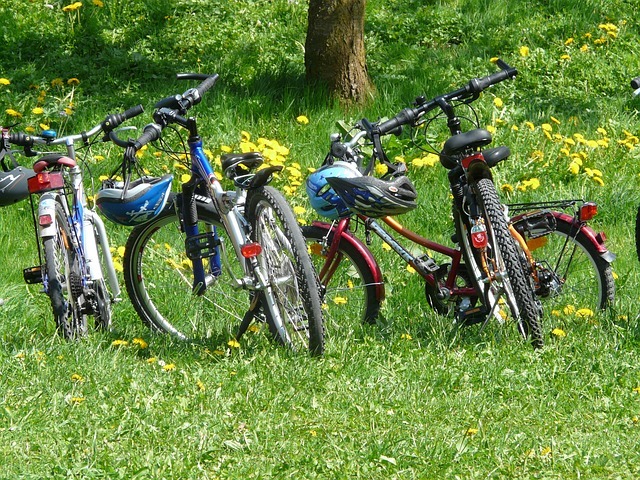 The nature center is accessible via bike using City of Madison bicycle paths, City of Monona bicycle paths, and streets with bicycle lanes or paved shoulders. We have a bike rack at the main entrance available for public use. We also participate in the Bicycle Benefits program, offering discounted admission for members of the public who bike to ALNC and show their Bicycle Benefits helmet stickers. You can support ALNC and Bicycle Benefits by purchasing your helmet stickers at our front desk to save money on admission and other great benefits around Madison, Monona, and beyond. All bikers, large and small, are encouraged to wear bike helmets! Check out this Aldo Leopold Day in Madison bike loop, created by bikabout.com and curated by our friends at Nature Net. Explore low-cost or no-cost nature organizations around the Madison area, including ALNC, that you can travel to by bicycle. Customize your ride by adding extensions depending on your time and abilities — do giant loops or one section at a time… see if you can visit them all! We love that many of our students and visitors arrive in high-occupancy vehicles — ride-sharing via carpools, busing, and public transportation is a great way to reduce emissions and pollution! The City of Madison Metro Transit Route 16 currently services Monona and stops within 3/4 mile of ALNC at Pflaum Road and Monona Drive (sidewalks and hiking trails connect ALNC to the bus stop). Additional (limited) daily loops between Madison and Monona are available from the Monona Express commuter service. For visitors with special mobility needs, the Monona Lift may be an option. Please view the City of Monona and City of Madison transit pages for more public transportation information. Electric vehicles, using battery power instead of gasoline, can be 99% cleaner than traditional cars. We are proud to feature an MGE Car Charging Station as a service to visitors and as a way to promote new ways of thinking about transportation and energy choices. Click here for more information about using MGE ChargePoint Stations. And, we recently acquired our very own ALNC electric vehicle for off-site programs and staff transportation — watch for us on the road! In order to promote good health, protect our grounds and ecosystems, and reduce the use of motorized vehicles, all ALNC trails (and surrounding park trails) are designated for walking and hiking use only. ALNC aims to reduce harmful vehicle emissions around children and instill environmental values in the next generation through a targeted focus on reducing vehicle idling on our grounds. Excessive idling unnecessarily exposes vulnerable populations of children and adults to unhealthy plumes of exhaust filled with particle pollution. Airborne particles can cause nasal, throat, respiratory, and eye problems, and are particularly harmful to those with asthma. Children, our main visitors, are more vulnerable to the impacts of vehicle pollution than other populations because their lungs are still in the development phase. They breathe 50% more air per pound of body weight than adults, and they are closer to the ground and tailpipes. To this effect, we ask that visitors and bus drivers turn off their vehicles when dropping off, picking up, or parking in our lots. It will also reduce your emissions and save you fuel!